Gherkin wedding photography, a London wedding at 30 St Mary Axe. I was delighted when Sonal & George asked me to do their Gherkin wedding photography in London as this is a location I’d wanted to see for a few years. The view from the top stretches for miles across the London skyline. Weddings at the gherkin are run by Searcys ( http://searcysatthegherkin.co.uk/weddings/ ) on the top two floors. The top floor has a 360 degree view across London making it a unique wedding venue. Like many of my weddings I’d been recommended to Sonal and George by a previous couple whose wedding I photographed a few years back. The majority of my marketing is based on being recommended. 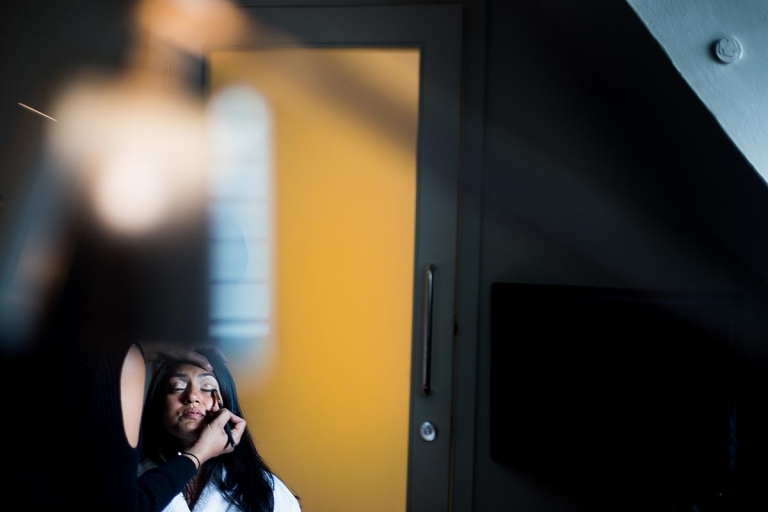 The day started with Sonal and George getting ready at the Andaz Hotel on Liverpool Street, it was then a short walk to 30 St Mary Axe and then up in the lift to the 40th floor for the wedding ceremony. The view from the 40th floor is spectacular, with St Paul’s cathedral looking rather small and the view dominated by other nearby tall buildings including The Shard. After the ceremony the drinks reception was on the 41st floor, which was also the location for the dancing later in the evening. All colour coverage from me this time, as much as I love black and white I felt this wedding was far too colourful. 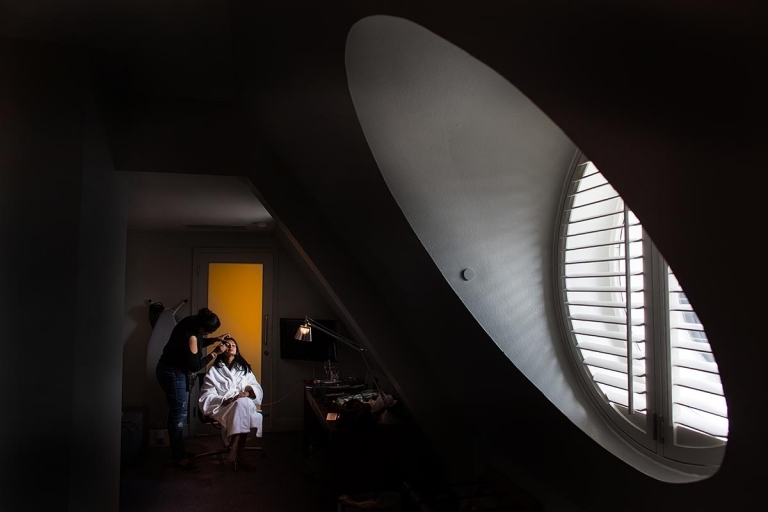 Here are some of my highlights from Sonal & George’s Gherkin wedding.